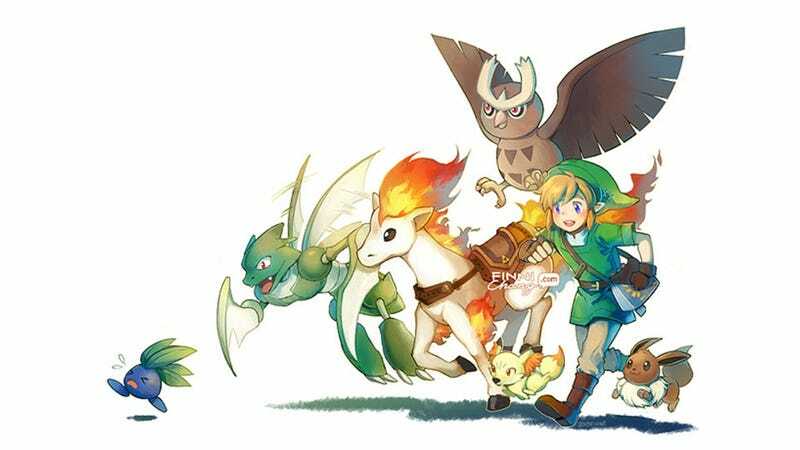 Artist Finni Chang does what Nintendon't. Pairing the pocket monsters with Nobunaga's Ambition was a total waste when they could have been combined with Zelda instead. These sweet-as-pie illustrations are, if you're that into them, also available as prints. $15 will get you one, while $25 will get you all three.